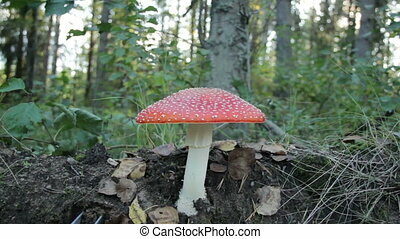 Mushroom fly agaric in the forest. 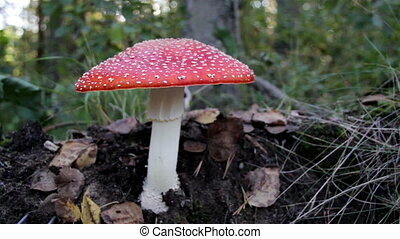 Shot in 4K (ultra-high definition (UHD)), so you can easily crop, rotate and zoom, without losing quality! 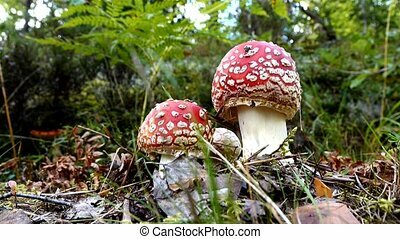 Real time. 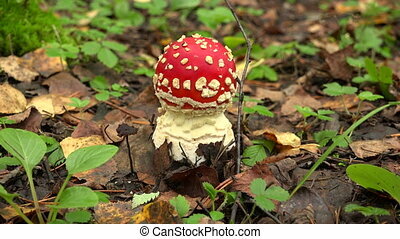 Amanita Muscaria fly agaric closer image of the big mushroom that is in red and is spotted in white. 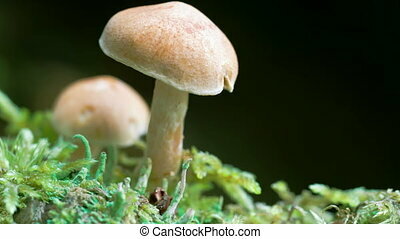 The mushroom is wide and big. 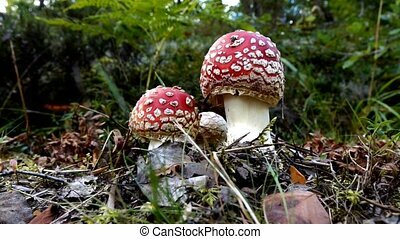 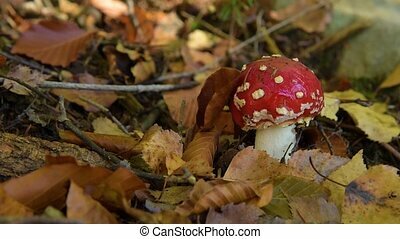 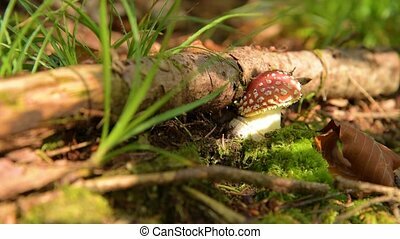 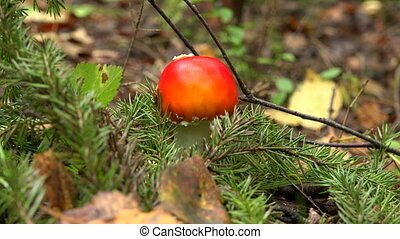 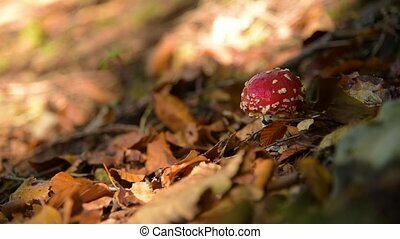 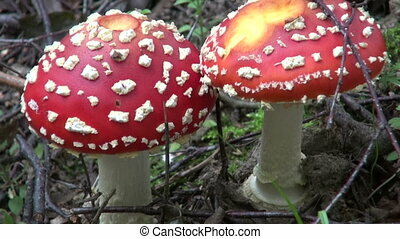 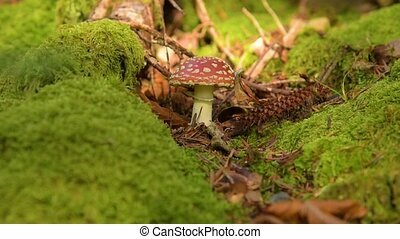 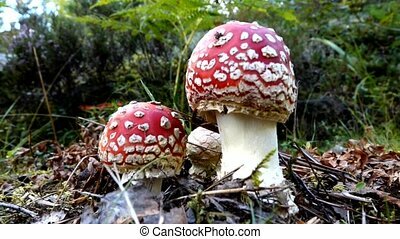 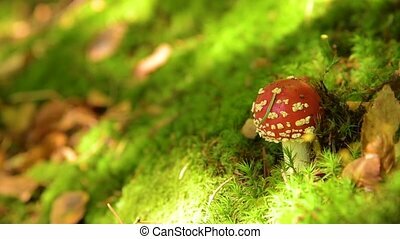 Image of the spotted Amanita Muscaria fly agaric mushroom and withered leaves o ground. 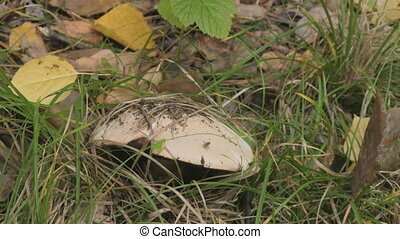 The big mushroom is surrounded with withered leaves that have fallen on the ground. 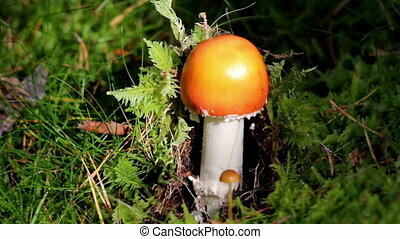 Orange mushroom growing.There is an orange mushroom growing from the ground. 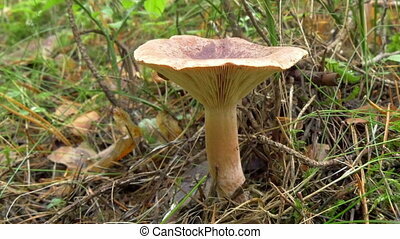 Lactarius rufus Rufous Milkcap the Red Hot Milk Capmushrooms growing on the ground where green grass is growing and a number of brown mushrooms are sprouting. 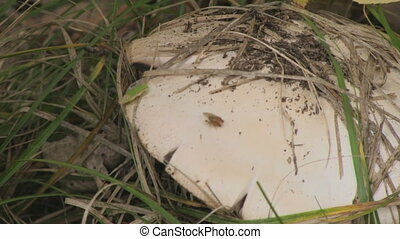 In the middle of the grassy area a mushroom is found. 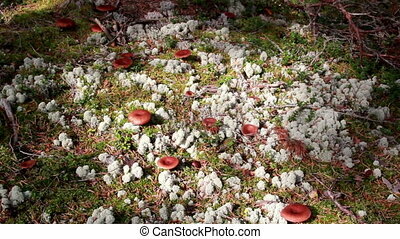 Reindeer lichen Cladina cladonia lactarius rufus a single white mushroom is found in the middle of the grassy area. 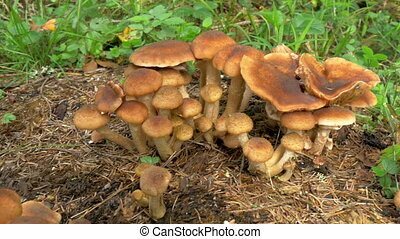 A bunch of honey fungus also known as Armillaria found in the middle of the ground where green grass surrounds the area. 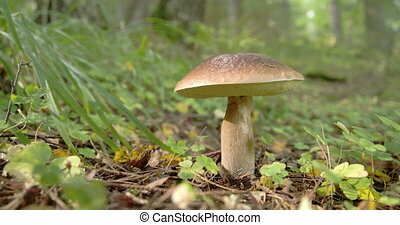 Single milkcaps mushroom with grass and shrubs around. 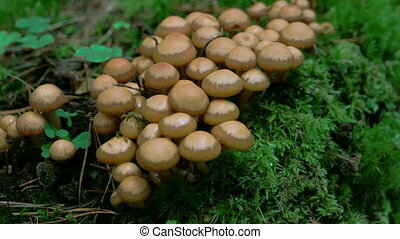 Lactarius rufus is a common medium sized member of the Lactarius genus whose many members are commonly known as milkcaps. 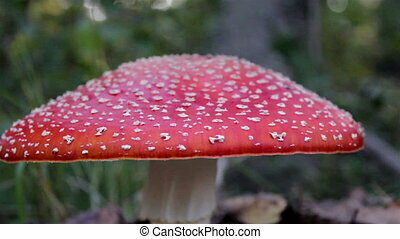 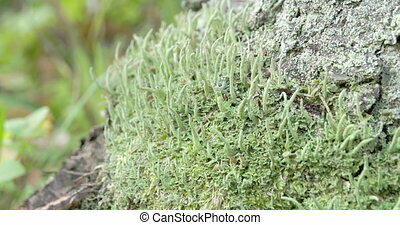 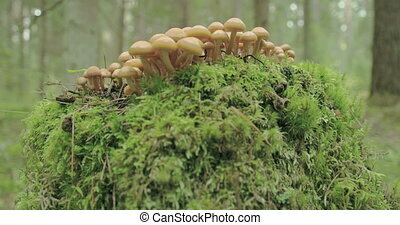 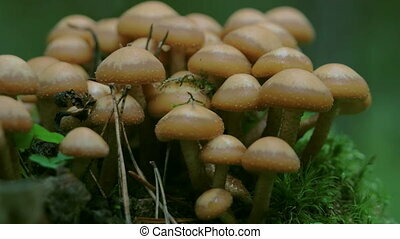 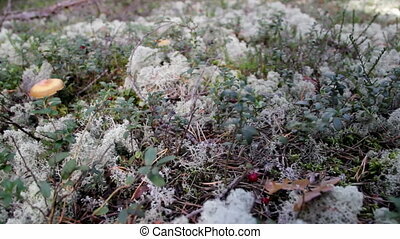 Known by the common name of the Rufous Milkcap or the Red Hot Milk Cap in North America. 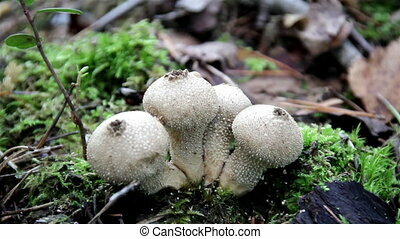 Lycoperdon perlatum common puffball white mushrooms spores on the ground while a stick has fallen on top of the three mushrooms growing.